Alfred North Whitehead, the great English philosopher, once said, "Seek simplicity, but then distrust it." Now that America has punched the tar baby in Iraq, all of our simple-minded notions about the Middle East must be re-examined in the light of actual experience. With so many of our government's explanations for invading Iraq still unconfirmed, reasonable people, both civilian and military, will demand a much more thorough understanding of neighboring Iran before supporting any further attempts by Bush II to play Alexander the Great. One place to find some surprising and stimulating information about Iranian culture is Paul Kriwaczek's In Search of Zarathustra, first issued in the UK last year and now available in an American edition. Kriwaczek has lived and traveled widely in Central Asia, first as a dental surgeon in Kabul, and then as a BBC television producer of documentaries about the Middle East and Islam. Although he makes no great issue of it, he is clearly literate in Arabic and Hebrew, and fluent in Farsi, the major language of Iran and Afghanistan. Kriwaczek's book documents a recent journey to contemporary Iran in search of evidence of the first great religious prophet of ancient Persia, and perhaps the first in world history, Zarathustra (also known as Zoroaster and Zardohst), who lived and taught about 1000 BC. By accompanying Kriwaczek, the reader gets some privileged insights into the survival of ancient Persian culture in modern Iran. The rule of the ayatollahs may be oppressive, especially to women, but numerous elements of pre-Islamic belief have yet to be stamped out. Festivals, artwork, and even fire temples devoted to Zarathustra's monotheistic god, Ahura Mazda, and the god's intercessor to humanity, Mithra, still survive in the face of Shiite fundamentalism. Through Kriwaczek's resolute guidance, we discover that Iranians still venerate the tomb of Cyrus, graven images (officially opposed by Islamic law) of the conquests of Darius, and sell tourists trinkets with Mithra as the anthropomorphic face of the sun. Kriwaczek's broader purpose, though, is to trace the history of Zarathustra's influence on Western culture and religious belief. 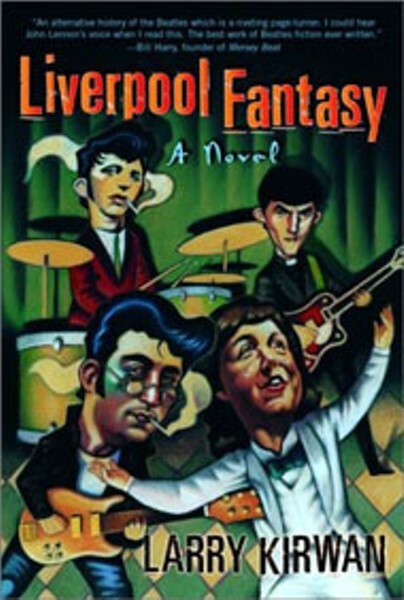 This intellectual journey passes through Nietszche's Also Sprach Zarathustra, the Cathar heresy of medieval France, the cult of Mithras among Roman soldiers occupying ancient Britain, the Manichean heresy of the early Christian age, and the exile of the Hebrews to Babylon. In contrast to the clarity and insight of Kriwaczek's travel diary in Iran, this ostensibly parallel journey into the history of ideas proves to be more a collection of intriguing examples than an organized argument. According to Kriwaczek, the religious and philosophical movements he discusses are threads of influence going back to the original teaching of Zarathustra. The prophet taught that the world was created and sustained by a single god, Ahura Mazda, but that this creation was under constant challenge by evil and deception, making human life a battleground between equal forces of good and evil. This dualistic outlook has never been accepted by any of the three major monotheistic religions, Christianity, Judaism, and Islam, but has been a pervasive influence nonetheless on diverse Western notions like medieval chivalry, the nature of Satan, and the envisioning of heaven and hell. Kriwaczek makes no pretense of being a scholarly authority on any of the diverse subjects he takes up, and admits that many of his conclusions are strictly speculative, so the reader has to settle for being shown the path of possible future personal investigation on most of the matters covered. Although it's fascinating to contemplate the basically Persian identity of the Old Testament prophet Daniel, or the possibility that knights on horseback were imported from the Asian steppes, the various threads of influence Kriwaczek identifies never really knit together. 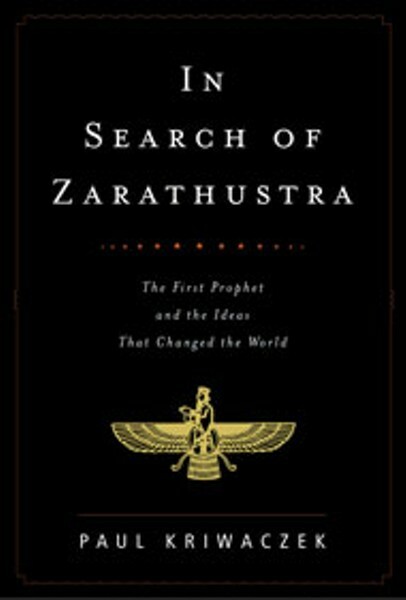 What In Search of Zarathustra ultimately conveys is the strong intuition by a gifted, cosmopolitan writer that Iranian and Western cultures have shared roots going back to the beginning of recorded history that have been systematically obscured and denied. The portions of the book that best present this view, however, are those that focus on how contemporary Iranians view the living fabric of their society and its relation to its rich past. The more we grasp the complexity and depth of contemporary Iranian culture, the more healthy distrust we'll have for the false simplicities of propaganda and ideology that tempt us toward conflict.